Evan Peters is an American actor who is widely recognized for his performance on “American Horror Story” and highly publicizes relationship with Emma Roberts. The 32-year-old actor was born on January 20, 1987, in Suburbs. He began acting at the age of 15, his breakthrough was through American Horror Story’s controversial character Tate Langdon. Peters’s father Phil worked at the Charles Stewart Mott Foundation as the Vice President of administration. Evan attended the Grand Blanc Community High School, but in order to pursue his career in acting, he moved to Los Angeles. He attended Burbank High School but soon turned to homeschool instead. The estimated net worth of the actor, model Evan Peters is around $5M. He went onto win the Screen Actors Guild Emerging Actor Award for his performance in “Clipping Adam”. 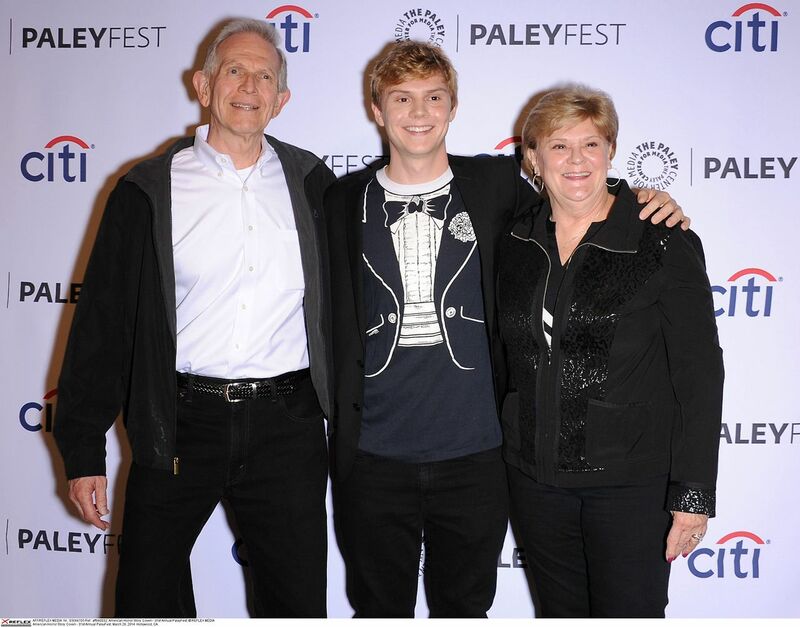 Evan is gaining recognition for his work on “American Horror Story”. Did Gigi Hadid was born with a silver spoon in her mouth? While working for the movie “Adult World” in 2012, Evan meets Emma Roberts. They grew very close and started to date. They later went on to play love interests on the third and fourth season of American Horror Story. Their love story mark by a scandal where there was a news that Emma broke Evan’s nose during a quarrel. The couple has been in an on/off relationship. They got engaged in 2013 and called it off after two years. But in 2017, Emma was spotted with her ring on the finger causing too many to assume that the actors were back together and very much engaged. Before he got engaged to Emma Roberts have dated few women that includes Pixie Geldof (2010), Alexia Quinn and Alexandra Breckenridge. Evan Peters is determined to prove himself. On American Horror Story, he plays a mentally disturbed ghost, a serial killing hotelier, a manipulative cult leader, and Charles Manson. But he wants to prove that he is not creepy as he looks on screen. Evan Peters has two tattoos on his body; “MOM” on his left bicep which is his tribute to his mom or maybe because his mom allowed him to get one only if he gets the word, mom. Another one on the back of his right palm; thumb’s up sign which he regrets. What is the meaning behind Scarlett Johansson’s Tattoos? Evan Peters first gained recognition for his debut performance as “Adam Shepard” in Clipping Adam. Portraying a role of a troubled teenager earned Peters Phoneix Film Festival’s Best Breakthrough Performance in 2004. The actor continued having a great year when he starred in a teen rom-com Sleepover. Evan Peters has starred in television shows as well, which includes; Phil of the Future, Monk, House, One Tree Hill, Without a Trace and Dirt. He later landed some supporting roles in movies like An American Crime in 2007, Gardens of the Night in 2008 and Never Back Down in 2008. Evan was cast in several plays like Oliver Twist. He focused on television roles and appeared as a one-time guest on Ghost Whisperer, Criminal Minds, The Mentalist, the Office, Parenthood. The Clipping Adam actor, received his big break when he landed a part in American Horror Story anthology series. He has been part of the thriller show for the past five years. When Peters wasn’t playing an array of characters on American Horror Story, he was portraying the charismatic mutant Quicksilver in 2014 movie X-Men: Days of Future and in 2016 sequel X-Men: Apocalypse. He is expected to be seen in the upcoming movies “Dabka” which is a film adaptation of the book The Pirates of Somalia: Inside Their Hidden World. 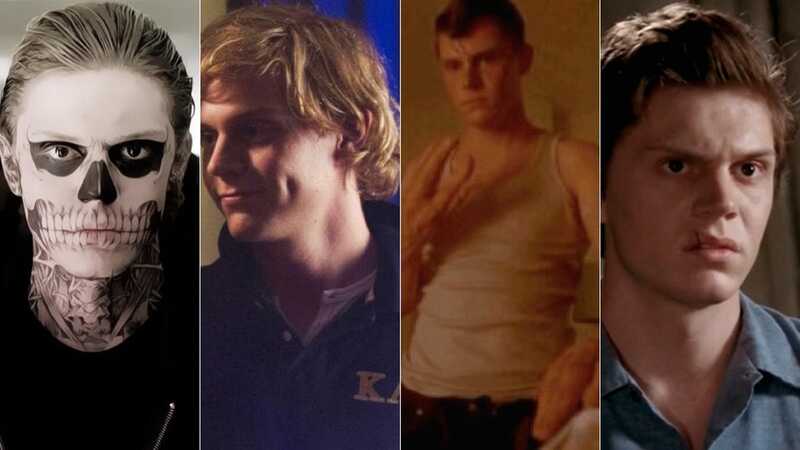 Evan Peters has been a frequent member of American Hoor Story. He played Tate Langdon, the ghost of a troubled and murderous teenager in “Murder House” Kit Walker, a man who is framed as a serial killer in “Asylum”, Kylie Spenser, a university student whose romantic involvement with a witch changed the course of his life in “Coven”. In the fourth season, Evan portrayed Jimmy darling, a rebellious human oddity. He also plays James March who is a serial killer who builds a hotel with the sole purpose of hiding his victim’s bodies. Evan is Edward Philippe Mott, a homosexual ghost of great wealth and Rory Monahan an actor on a hit television series “Roanoke”. He also portrayed cult leader Kai Anderson in Cult along with other historical cult leaders during re-enactments. Evan Peters would love to transition into directing and writing but he finds it hard to multitask so he’s trying to find the best way to live his dreams. He also loves making music but he is focusing on acting for now. James Franco is the person he looks up the most, to venture out and become a more complete persona. Evan Peters has a huge fan following on social media and is pretty much active on social media. He has 646K followers on Facebook, 4.2 Million followers on Instagram and 748K followers on Twitter.